Thankfully Spring and Fall are gorgeous and April, May, September, and October are the best months for beach going in San Francisco. The Pacific Ocean isn’t exactly warm in Northern California; you can dip your feet in anywhere, but you wont see a lot of people swimming without a wetsuit. Some beaches have dangerous riptide so make sure the current is safe before you swim. As a San Franciscan sun worshiper here are my top 5 beaches less then 40 minute drive from down town. 5. 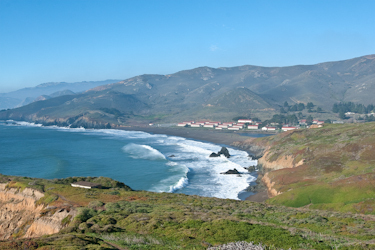 Muir Beach – Drive Hwy 1 north to Muir Beach, stop for a proper English pint at Pelican Inn. Limited parking and only one restaurant means this area can get crowded. A day trip here works best if you get started early, or bike here. 4. Ocean Beach – Ride the Street Car N-Juda or MUNI Bus 5, 31, or 38 to the end of the line. Enjoy a cocktail or meal at Cliff House or Beach Chalet Brewery. Access from public transit, restaurants and enough parking on or around make this the easiest beach option in SF. 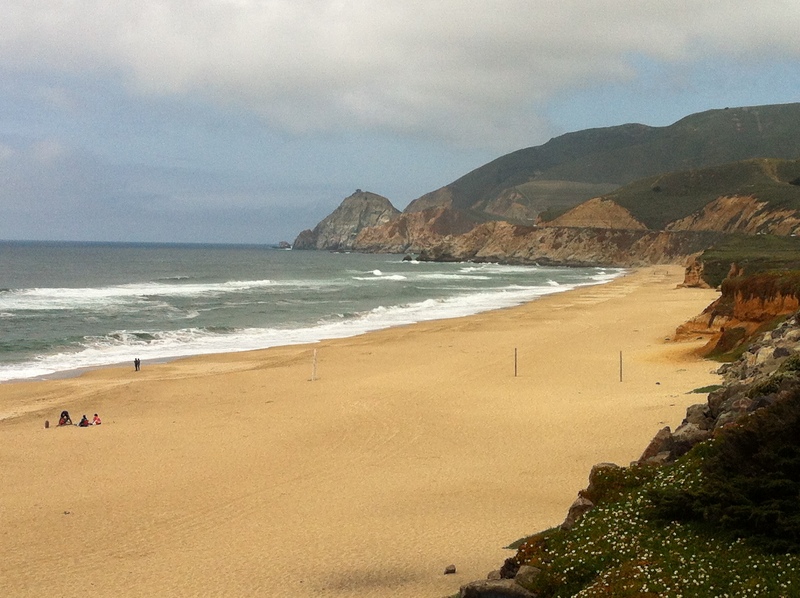 2- Montara Beach – Drive Hwy 1 South and when you pass through the new Devil’s Slide tunnel the beach is on your right. Parking is off the highway and there is one restaurant on the beach, La Costanera (Michelin Star Peruvian food). Yellow corse sand beach, beautiful California coast views and few crowds make this a great picnic location. 1- Baker Beach – Ride MUNI Bus #29 to Baker Beach or FREE PresideGo shuttle. There is limited parking and on sunny days it can get busy so take a bus, taxi or hike in. The outstanding Golden Gate Bridge view and local hangout is what make this beach my #1. The end closest to the Golden Gate Bridge is ‘naked’ so consider yourself warned. 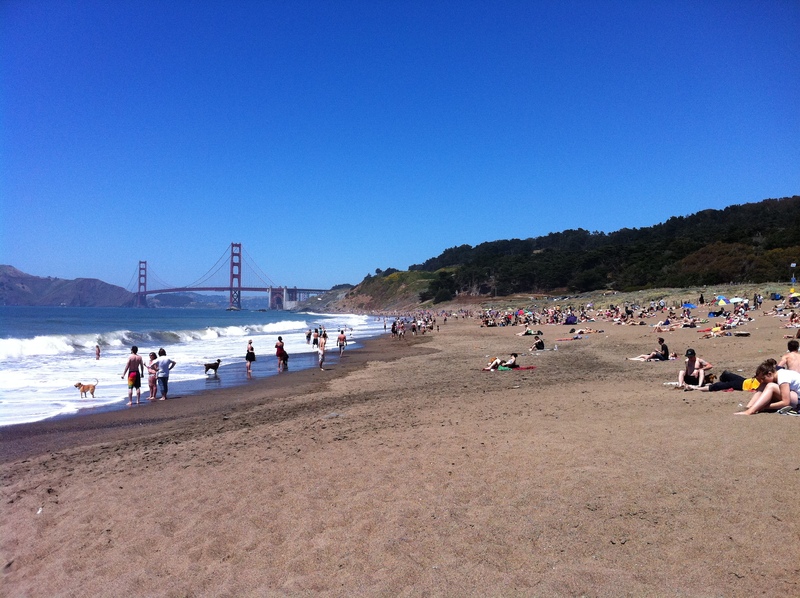 Maybe you want to tan a’la natural making this another reason Baker Beach could be your favorite. Hot weekend days can get busy and there is a fun-loving festive atmosphere full of families, dogs, and friends. Bring a cooler with plenty of California wine and snacks, once you get here you won’t want to leave.